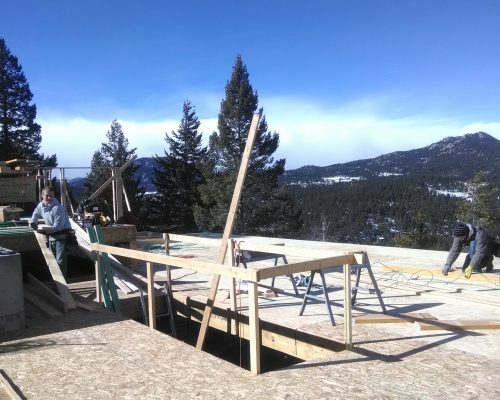 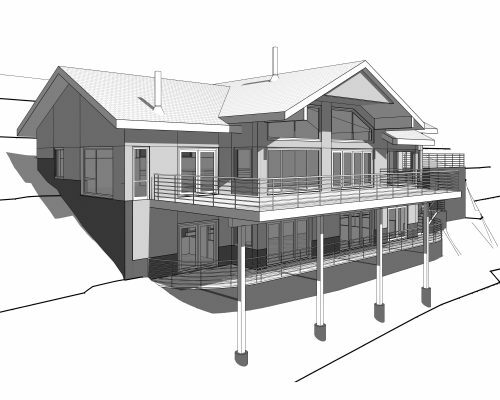 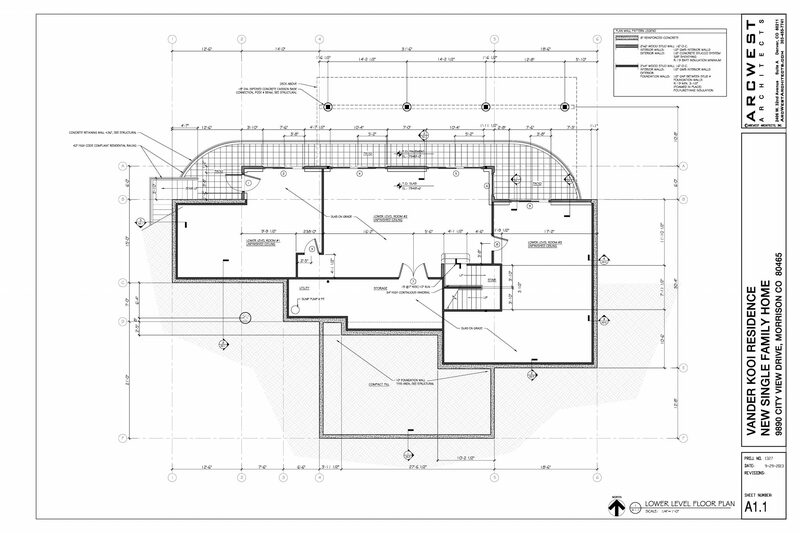 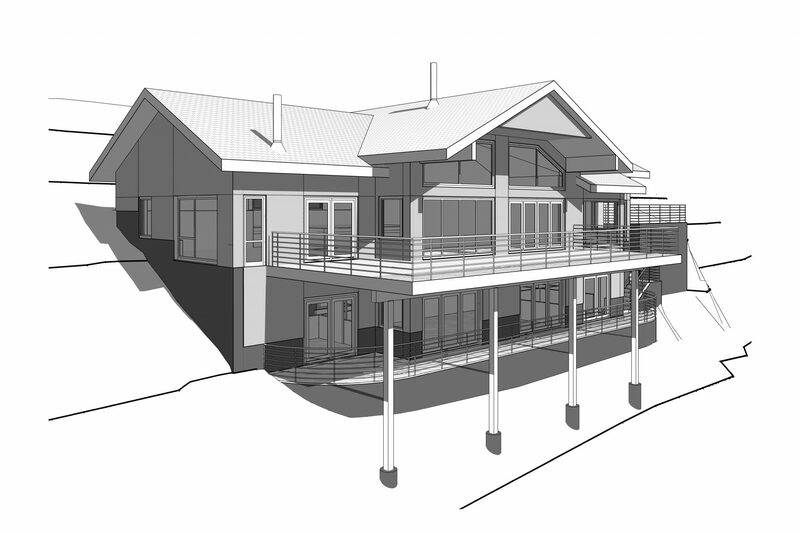 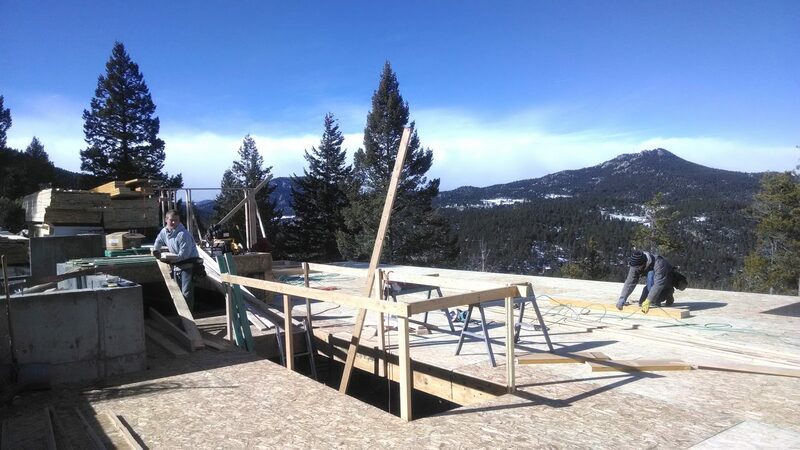 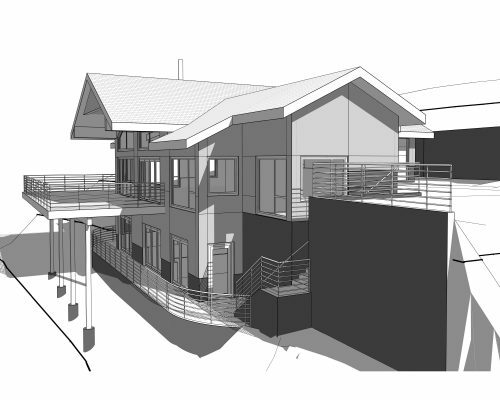 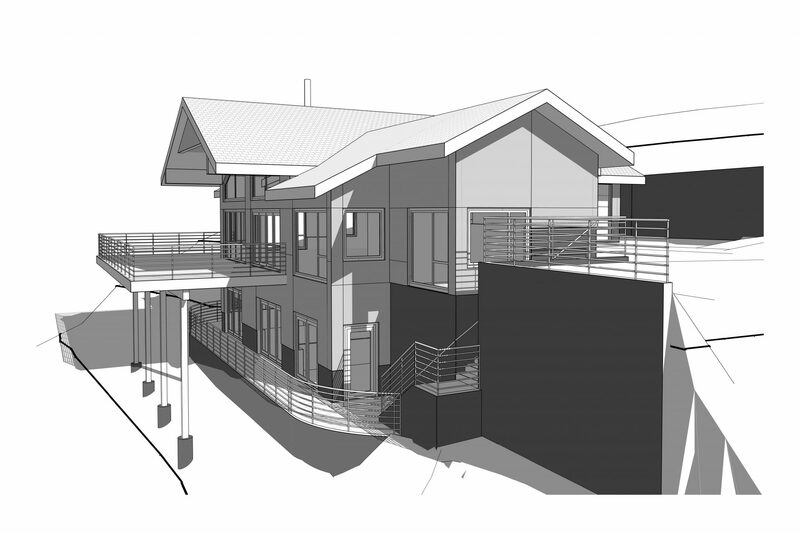 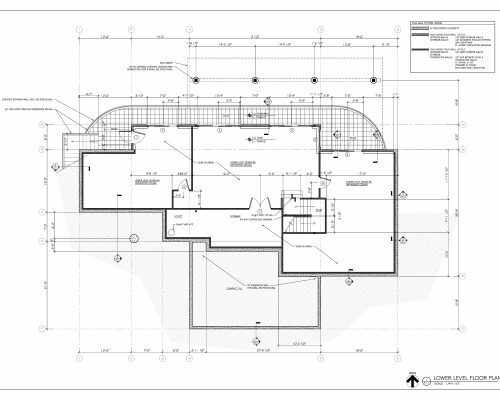 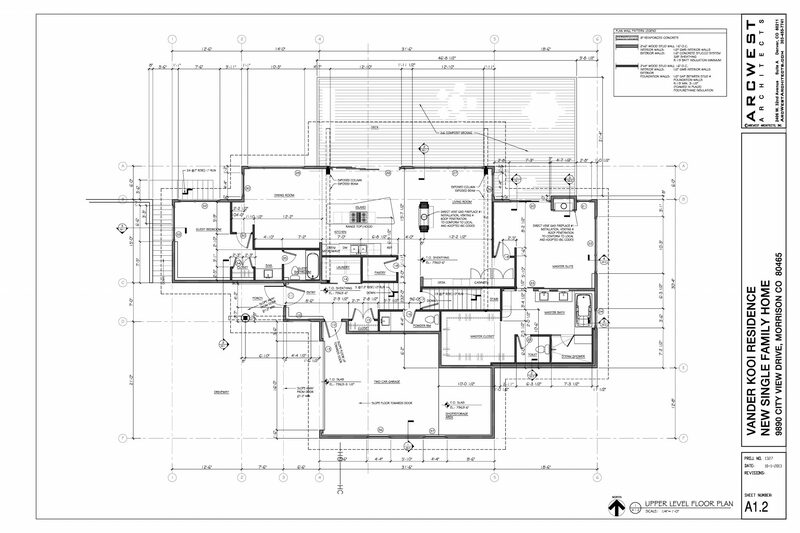 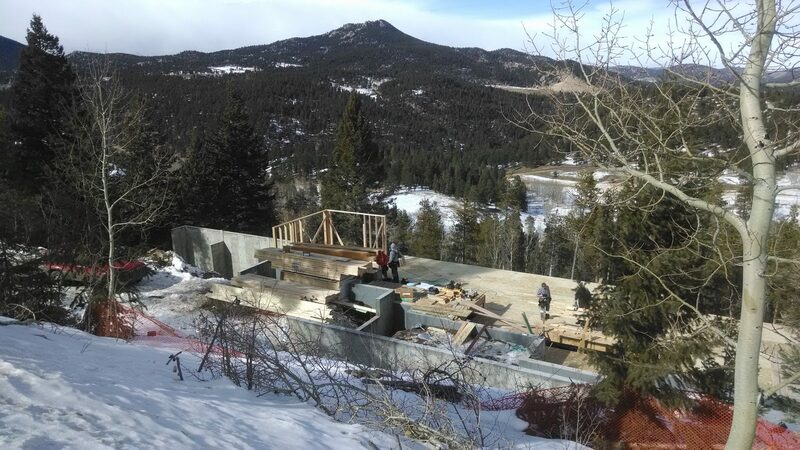 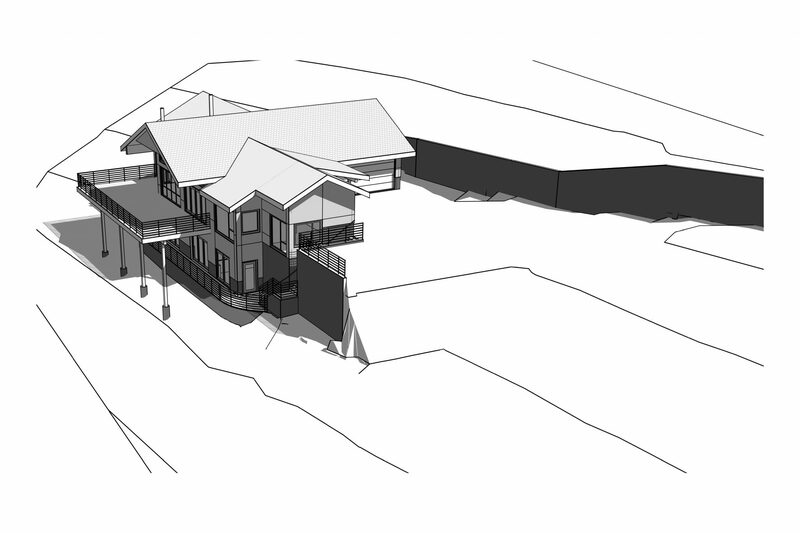 ArcWest Architects was hired to design a new hillside mountain home. 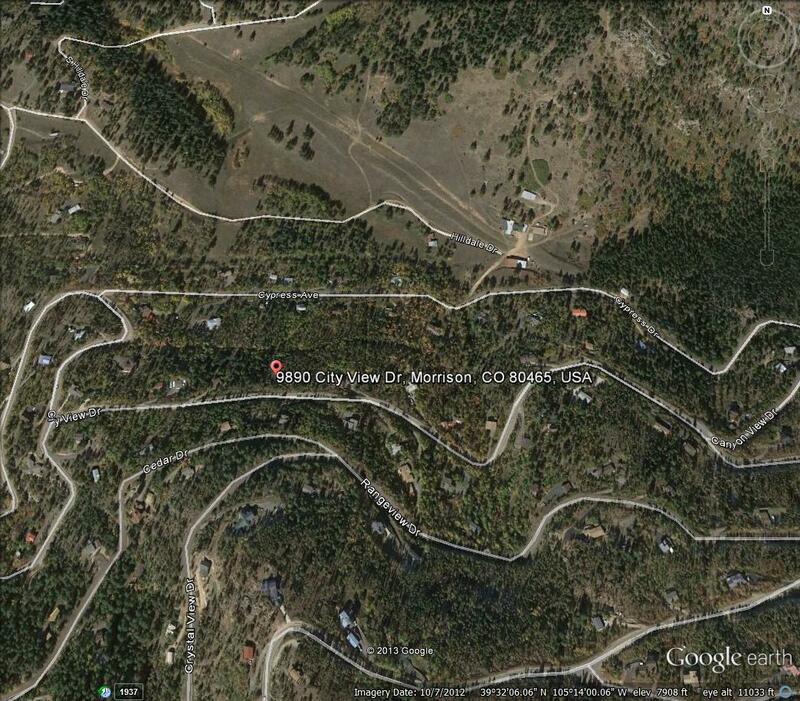 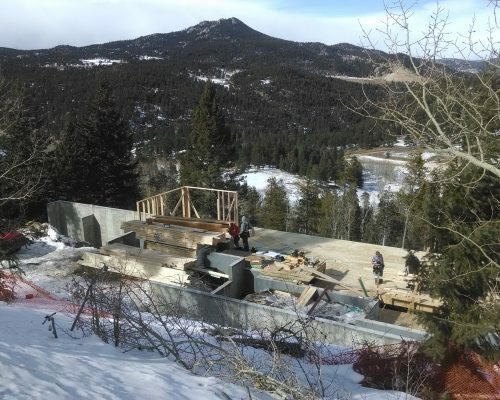 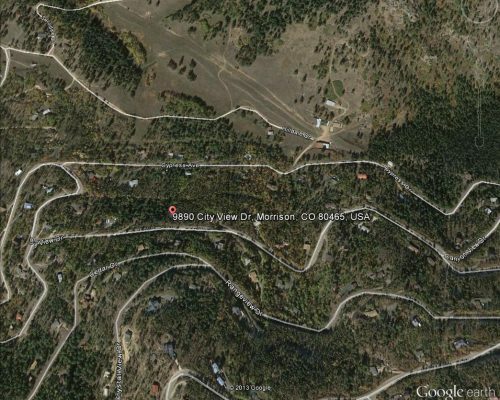 The owners selected a challenging hillside site with a consistent 30 degree slope on City View Drive in Morrison, Colorado. 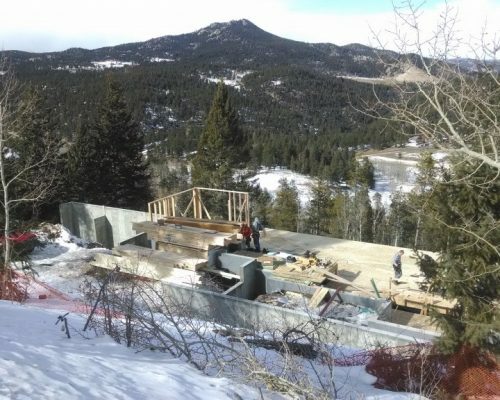 This unique site provided the architect and structural engineer team the opportunity to design an elegant and simple structure with uninterrupted city and mountain views. 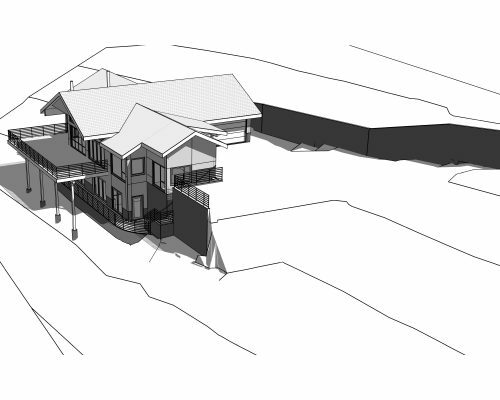 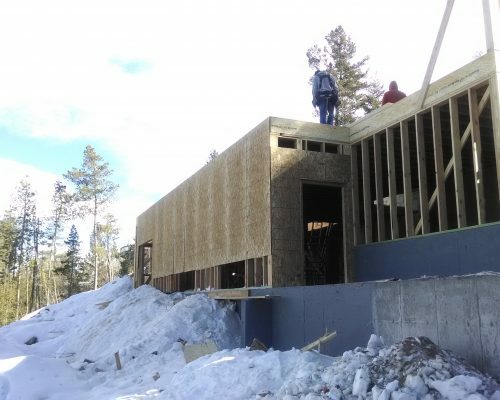 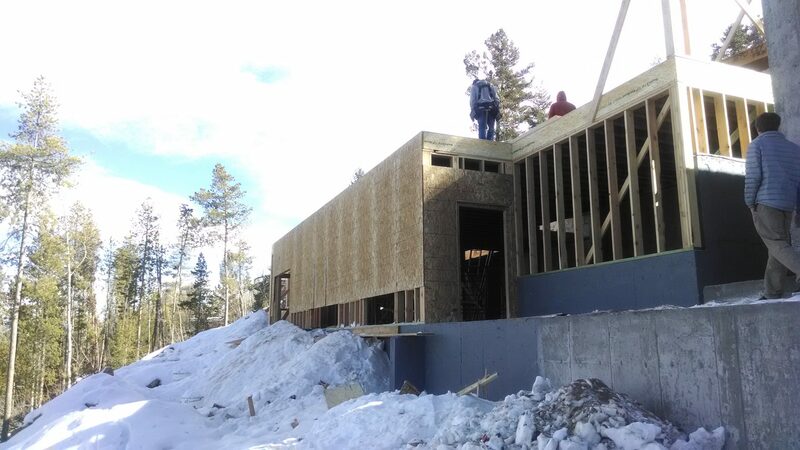 The new ”mountain home with view” retirement residence has all living spaces on the top level accessible from an attached garage. 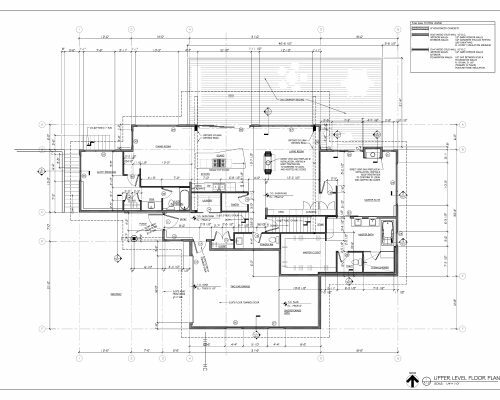 The home also includes two complete Master Suites for the owners and guests. 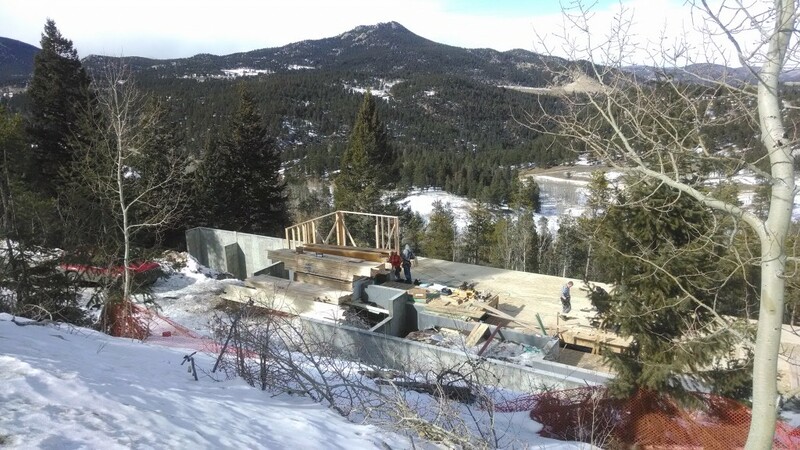 Future build-out of the full walk out lower level can be customized in the future.